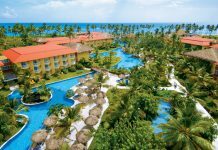 Paradisus Palma Real Golf & Spa Resort is an all-inclusive resort located on the beach in Punta Cana. 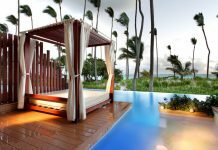 It is just a 25-minute drive from the Punta Cana International Airport and features five pools, tennis courts, and a spa. Guest rooms at Paradisus Palma Real are spacious and modern, with flat-screen TVs, private balconies and two-person tubs. 24-hour room service is available. 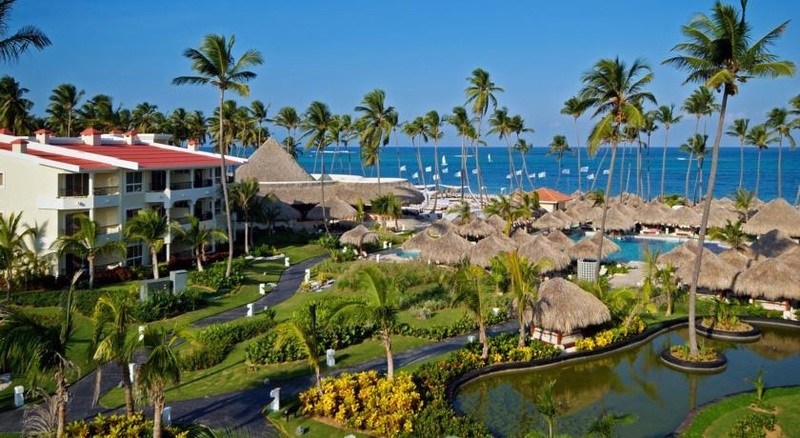 The resort has seven a la carte restaurants, three poolside buffet restaurants, and nine bars. 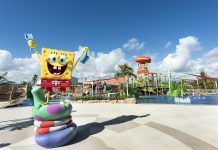 There are plenty of activities at the resort, ranging from kayaking and sailing to sushi-making. Visit Paradisus Palma Real Golf & Spa Resort’s website for more information.